QUIET RIOT's performance at Frontiers Rock Festival 2018 marked the band's first-ever concert in Italy and what a hell of a show it was! This special event is now being released on CD/DVD and Blu-ray. Titled "One Night In Milan", this once-in-a-lifetime performance will be released January 25, 2019 via Frontiers Music Srl. With the entire club shouting and singing along and calling the band back on stage at the end of the show for an unplanned encore, QUIET RIOT took no prisoners, offering the crowd a superb selection of its greatest hits plus a very special surprise in "Thunderbird", a song from the multi-platinum album "Metal Health" that the band had never performed on stage before with piano accompaniment. 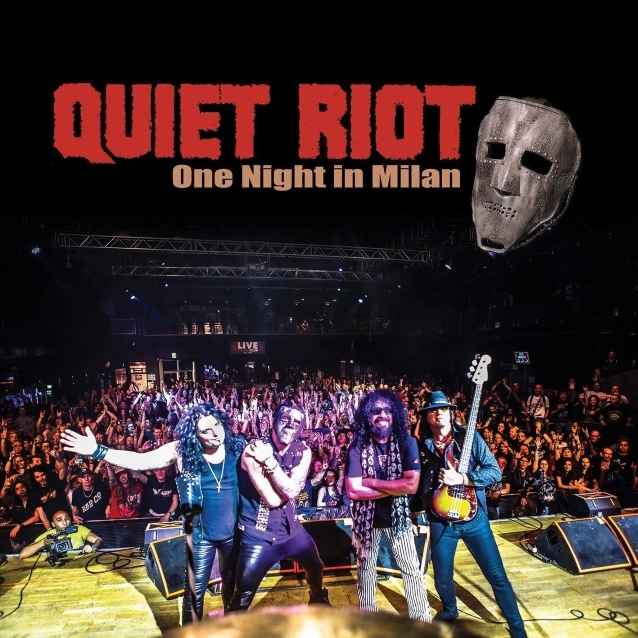 Drummer Frankie Banali had this say about the upcoming release: "'One Night In Milan' documents QUIET RIOT in real time as it was recorded in Milan, Italy in April of 2018. 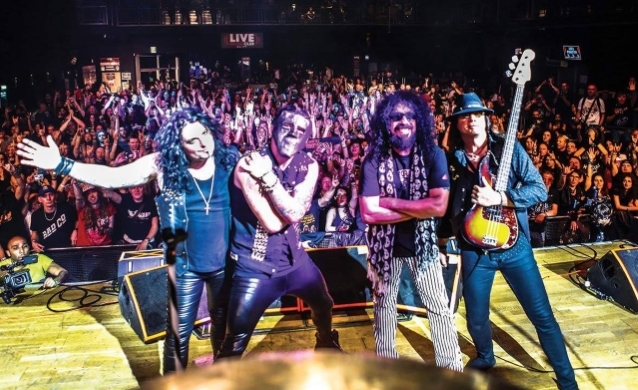 "For anyone interested in the long and storied history of QUIET RIOT, this performance chronicles the progression of a band that continues to bring its brand of music to our longtime fans and new fans as well. "The performance was historic as it was the first time that QUIET RIOT has played in Italy since the band's inception 35 years ago. The set included a performance of 'Thunderbird' with live piano as it was originally recorded in 1983 with help from maestro Alessandro Del Vecchio. The fan response was nothing short of phenomenal and heartwarming, with not just the incredible Italian fans, but also the many longtime fans from all over Europe, many of whom, like the Italian fans, had never seen QUIET RIOT live before." 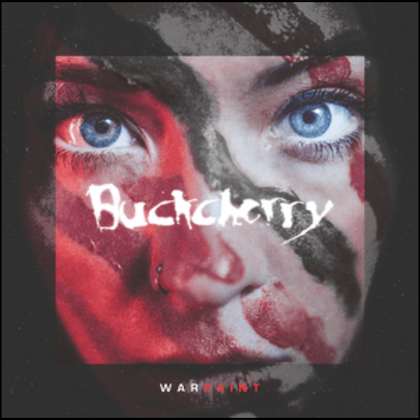 Banali recently said that James Durbin "has proved to be the best singer" QUIET RIOT has had since it was resurrected eight years ago. Durbin, who became known as the "metal guy" on 2011's season of "American Idol" after performing "Living After Midnight" and "Breaking The Law" with JUDAS PRIEST, hooked up with QUIET RIOT after the dismissal of Seann Nicols (a.k.a. Sheldon Tarsha; formerly of ADLER'S APPETITE). Nicols was with QUIET RIOT for just a few months, but long enough to record the vocals for an early version of the band's latest album, 2017's "Road Rage". In an interview with The Tribune-Democrat, Banali praised QUIET RIOT's latest addition, saying: "When I decided to restart QUIET RIOT in 2010, I knew it was going to be very difficult — both professionally and personally — because Kevin [DuBrow, original QUIET RIOT singer] and I were best friends for 27 years. 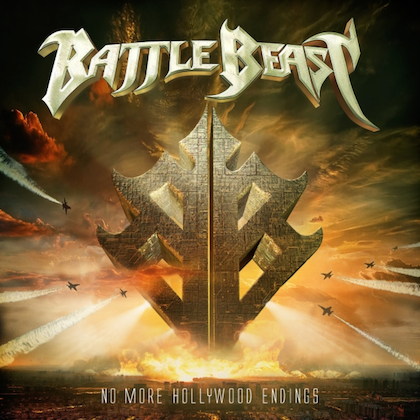 "There was never a thought to replace the late, great Kevin DuBrow. That is impossible. Kevin was an amazing singer with a vocal range second to none. And as a performer, no one comes even close. "My thought was to try to preserve the music and sound of QUIET RIOT as best I could. We went through four different singers over roughly a six-year period. "In 2017, we brought on James Durbin, who — without a doubt — has proved to be the best singer we've had since revving up the engines in 2010. He's a really great vocalist, performer and — equally as important — a very nice person. "I'm used to change in QUIET RIOT, not just the trials and tribulations with singers since Kevin's passing, but during the entire 35-plus year history. I'm very happy to have James involved with us as long as he wants to be with QUIET RIOT." In addition to Banali and Durbin, QUIET RIOT's current lineup includes bassist Chuck Wright (who has been in and out of the group since 1982) and guitarist Alex Grossi. Banali revived QUIET RIOT in 2010, three years after DuBrow's death, along with Grossi and Wright. The group went through two vocalists — Mark Huff and Scott Vokoun — before settling on Jizzy Pearl in 2013. Pearl announced his exit from QUIET RIOT in October 2016.